The size of the tablecloth/table runners is 52 x 108 inch, etc. , the product is durable. Is a good home decoration tablecloth. Wipes clean with a damp cloth (recommended), machine washable in cold water and gentle cycle, cold delicate, hand wash best,lay flat to dry. If you have any questions about this product by SCOCICI1588, contact us by completing and submitting the form below. If you are looking for a specif part number, please include it with your message. 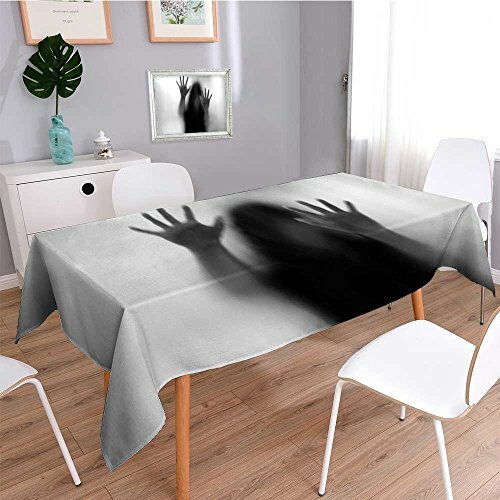 Littletonhome Horror House Patterned Tablecloth Demon Trap Symbol Logo Ceremony Creepy Scary Ritual Fantasy Paranormal Design Dust-proof Oblong Tablecloth Orange 52"x70"